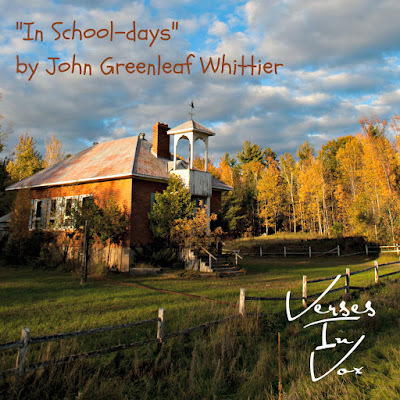 Born in rural Massachusetts in 1807, John Greenleaf Whittier began to write poetry at a young age with his first poem being published in the summer of 1826. 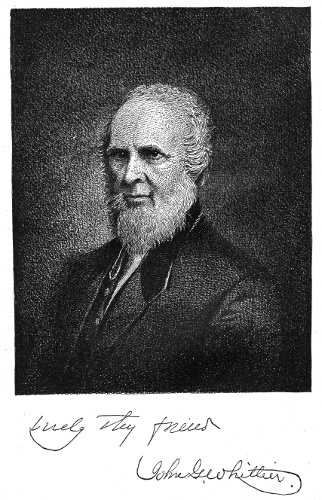 Shortly thereafter, he began working as an editor of various periodicals. 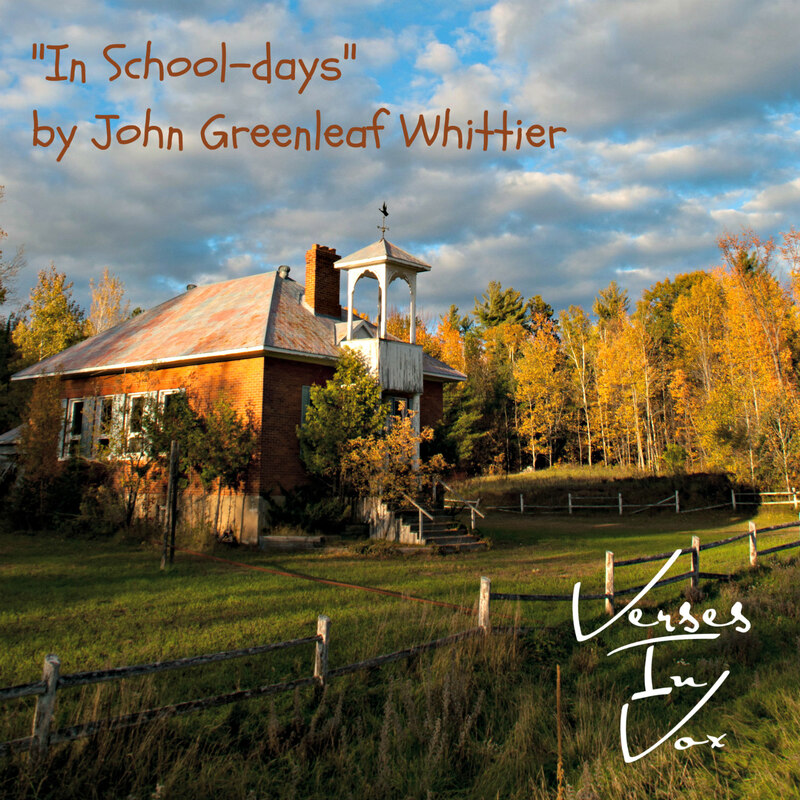 The poem "In School-days" was written in 1869 and Whittier may have drawn a bit on his own experience as a teacher in a one-room schoolhouse. 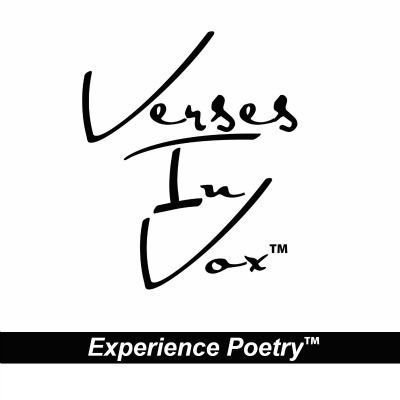 The poem was praised by the public as well as by other poets with Henry Wadsworth Longfellow commenting, "There is something more in education than is set down in the school-books. Whittier has touched this point very poetically in that little lyric of his." Oliver Wendell Holmes said of the poem in a letter to Whittier, "...I had no sooner read them [the lines] that I fell into such ecstasy that I could hardly find words too high-colored to speak of them to my little household. I hardly think I dared read them aloud. My eyes fill with tears just looking at them in my scrapbook, now, while I am writing." NOTE: There is an alternate version of the first stanza in some early publications of this poem. We have chosen to use the later version of the text for our program as it was the text included in several authorized editions of Whittier's writings. You can see the alternate text at the bottom of this post. Like her,—because they love him. Illustration which accompanied the poem in one of its publications.